This haunting song went viral before it was even finished. Now Kailee Morgue’s “Medusa” is finally ready. The 19-year-old singer has a hit on her hands. Twitter, as a place and platform, is pretty much a hellscape, but Kailee Morgue is a very bright spot within it. 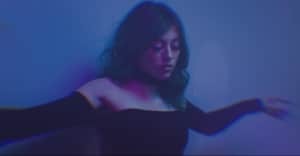 The 19-year-old singer from Phoenix, Arizona, uploaded a clip of herself singing a demo version of a very chilling pop song back in January and people immediately latched onto it. The rough clip has been retweeted 45,000 times and by June, she had signed a record deal with Republic Records. The final version of the song, which Kailee worked on with producer CJ Baran, is premiering on The FADER today and it's just as spine-tingling as the original clip.